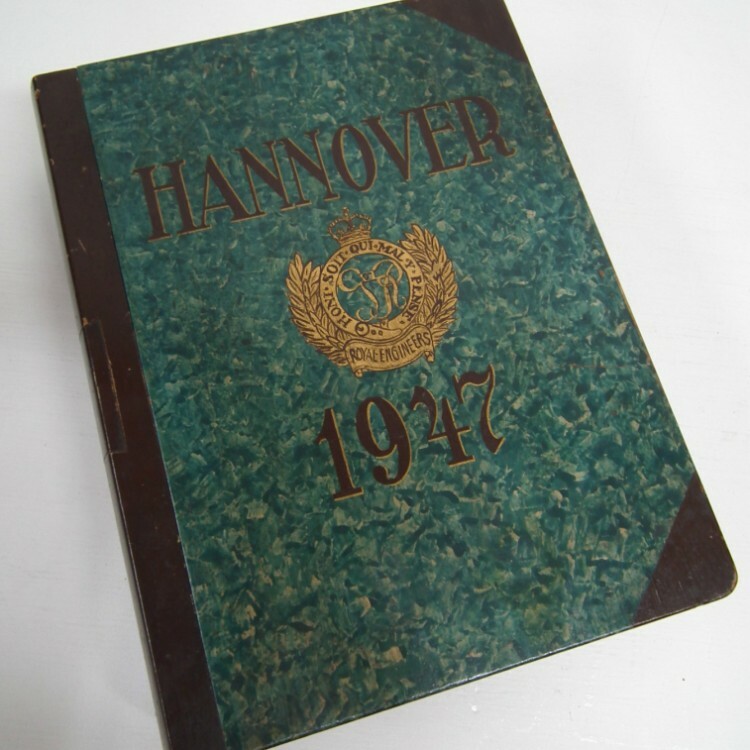 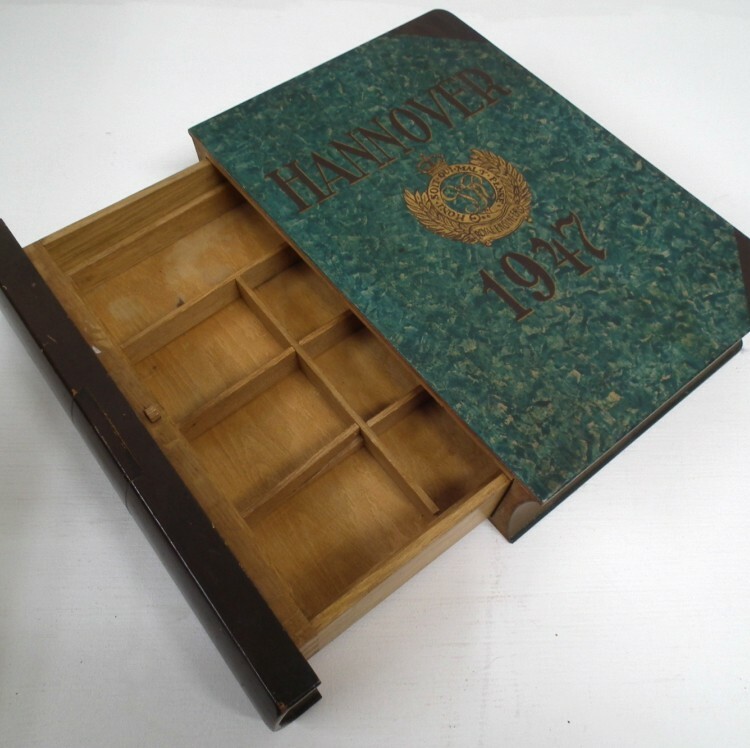 Wooden box imitation of a book the top says Hannover 1947, and has an insignia of the Royal Engineers and a simulated marbled casing and gilded fore edges. The back of the book has a small removable part which you slide forward opening to reveal the inside with various divisions. 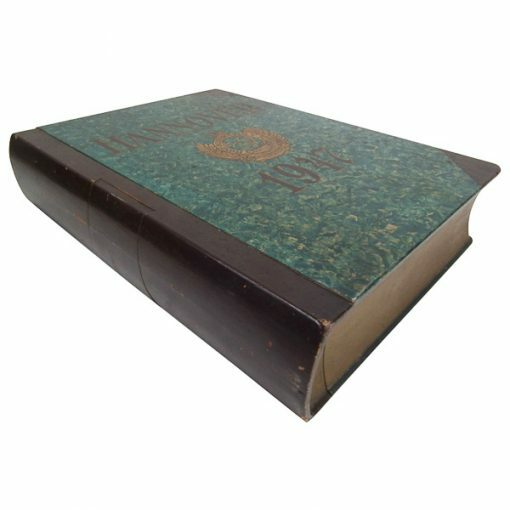 Unusual item. 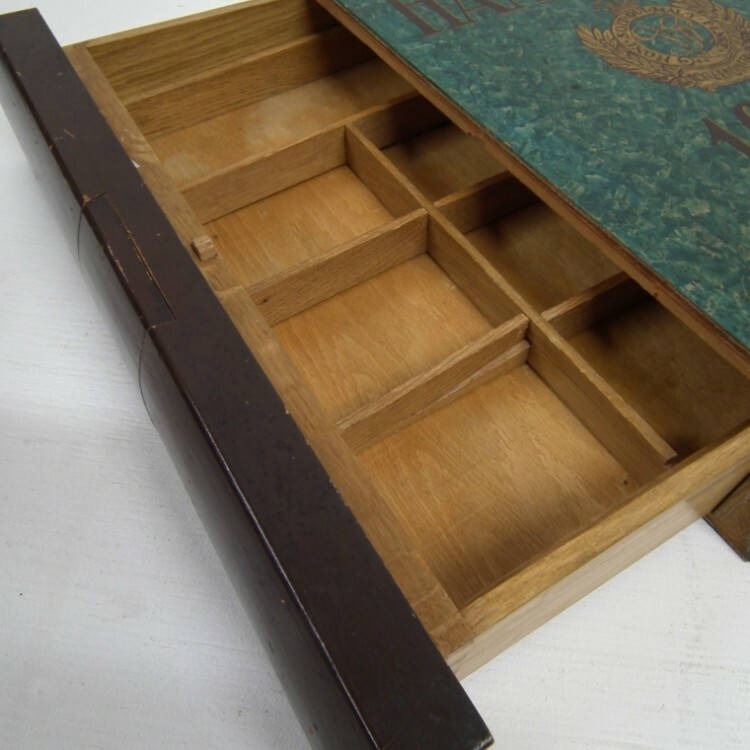 8.5cm high x 31cm wide x 40cm long.